Your local veterinarian in Fairview, PA.
At Choice Vets we recognize the many different roles that pet family members play in our lives. We also recognize the uniqueness of owner finances and the many differences in pet personalities. For these reasons, and many more, we decided to stray from the norm and structure Choice Vets around an individualized care that suits your budget and still provides the customized patient care that you and your pet family deserve. We’re always welcoming new clients! Read more about who we are, and take a look at our clinic video for a better look at our hospital and staff. 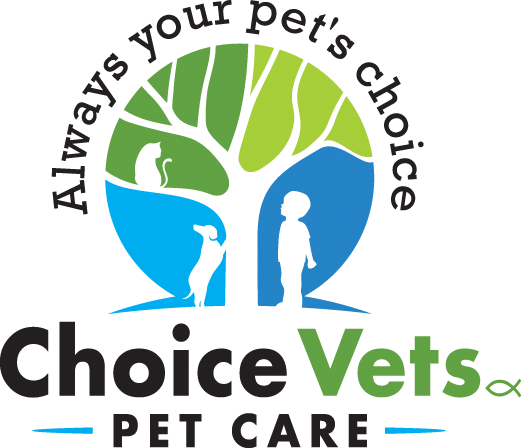 Choice Vets Pet Care is pleased is to provide a library of professionally written articles updated by practice experts and reviewed by practitioners. It is our mission to treat each pet as if they are a member of our own family. We practice respect, courtesy, empathy and responsibility on a daily basis. It is these characteristics that set us apart from other clinics as we want your entire experience with Choice Vets Pet Care to be beneficial to you and your pet. Learn more about the exceptional services that we have to offer. We look forward to serving you!